Take yourself off to a fantasy world with this amazing canvas print from the incredible artist Anne Stokes. With her alluring eyes and mysterious presence, this Goddess of sorcery coaxes us forth with her beauty and witchery. 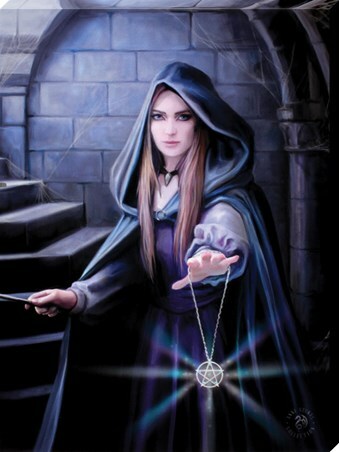 Holding a gleaming pentagram necklace, this hooded sorceress is one with the darker forces. 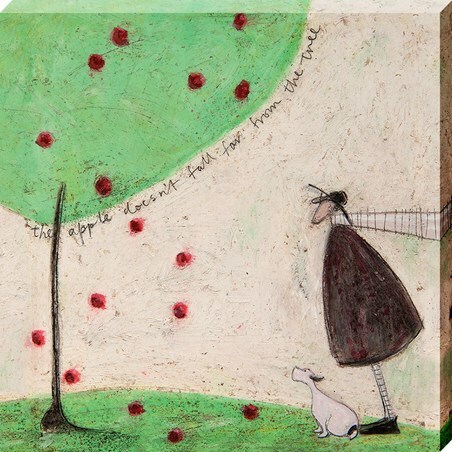 Add a piece of Gothic elegance to your life with this stunning 'Small Light In The Darkness' canvas hanging in your home. High quality, framed Small Light In The Darkness, Anne Stokes canvas print with a bespoke frame by our custom framing service.